Brief synopsis: Lucille has enough on her plate trying to keep an organized house, trying to get her granddaughter baptized, and trying to lose weight. 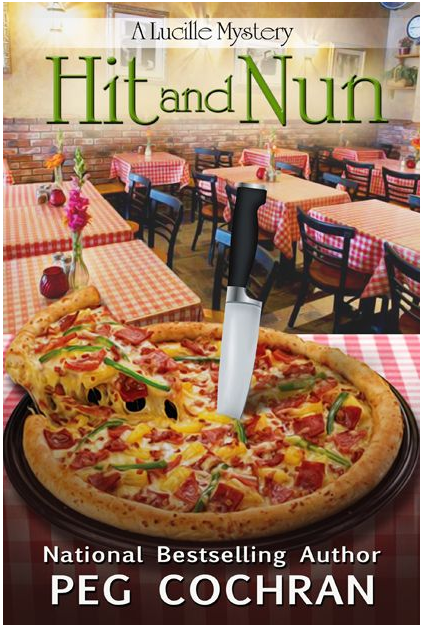 But all those problems take a back seat when the owner of her favorite pizza place falls dead at her feet..literally. With the help of her best friend Flo, she decides to take on the case on her own. 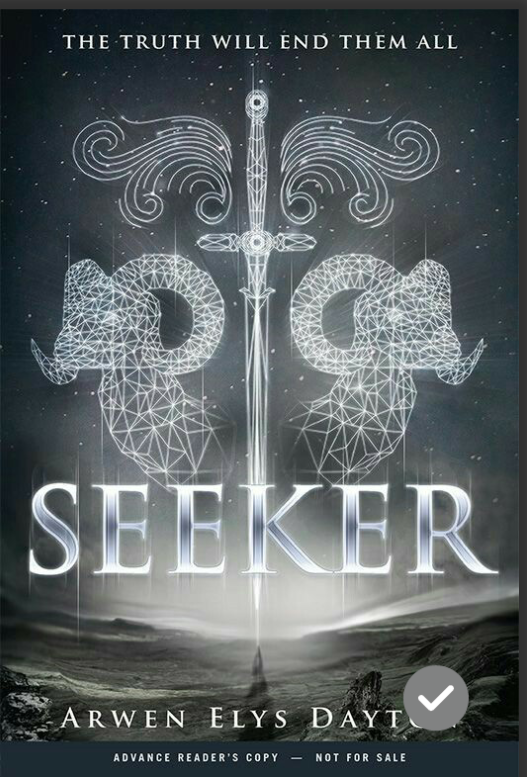 Brief synopsis: Quin is desperate to become a Seeker, a title that she has been training all her life to receive. However, when she finally achieves her goal, it is not the honorable and heroic job that she imagined it to be. I tried to get into this book, honestly I did. Unfortunately, I couldn’t. The pace was weird, the jumping around to different characters’ lives was choppy to say the least. Some characters were likable while some unfortunately were cringe worthy. Maybe I was expecting more from this book since I saw some good reviews about it. It just wasn’t my cup of tea, sadly. Has anyone else read this book? What are your thoughts about it? Aaron, a water traveler, is heir to be be king in his kingdom of Upitar. Although he doesn’t want the responsibilities, he is willing to do whatever it takes in order to be a good future king for his world. That is until his father gives him an almost impossible mission. In order to become king, he must kill a human girl that was prophesied to destroy the waterways to his world. He hesitantly takes the mission. Once on earth he falls in love with a human girl, despite the difficulties. However, when a discovery is made, Aaron must make an impossible choice. Both of the main characters were extremely likable. The supporting characters were also very humorous and kept the story going. I was completely enthralled by this story and the difficulties and regret that Aaron had to face in order to break away from the responsibilities that were suffocating him. So I have been wanting to read this book for awhile bit I’m thrown off by the mixed reviews about the character and her maturity level :(. What are your opinions of this book fellow bloggers? Do you think I should give it a chance? Or do you think I should skip it for now? If you have read this book and series, did you like it? Why or why not? So yes I did rush through the book a little bit. The reason for this was because the story itself seemed a bit rushed and the names of the characters sometime jumbled together. However, the twists and turns were interesting and kept the book new. The story involves Delilah West, a P.I. struggling to make ends meet. She is almost run over by an uncontrolled car, but manages to escape. She finds a body in the middle of the street and assumes that the car must of hit the elderly gentlemen. Upon her word, the man is sent to jail. However, upon the mother’s insitence, she looks more into the case and begins to have second thoughts. As she delves deeper into the case, what she finds out is truly unexpected. This book contained romance, some wit, and humor. So yay! I finished my first book of the year!!! 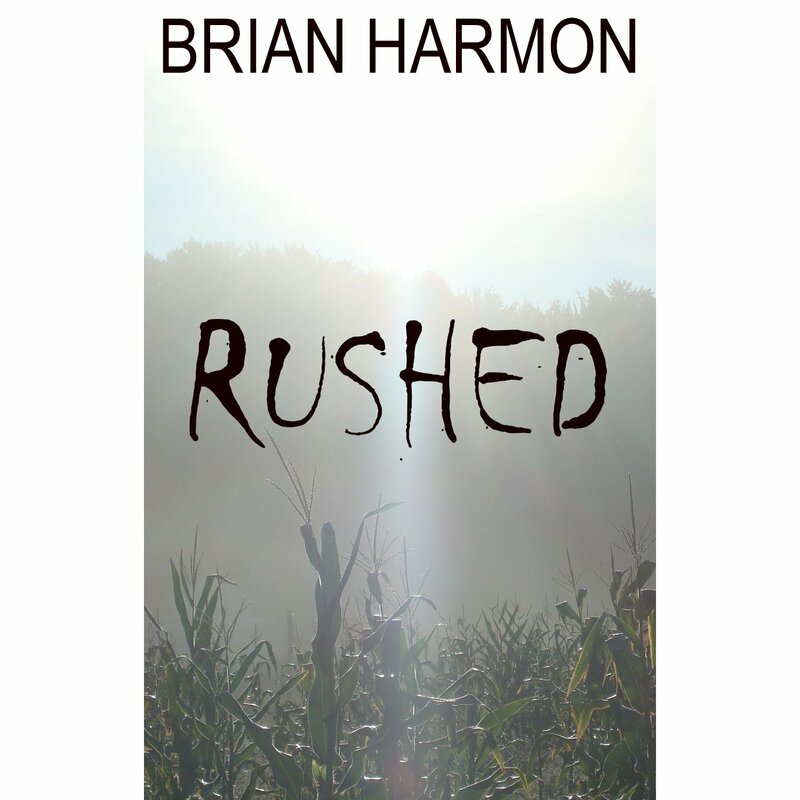 ^…^ today I finished the book called Rushed by Brian Harmon. It tells the story of Eric, an ordinary high school teacher that has constant, recurring dreams that have him waking up with an urge to get up and drive or just go,go,go! Two nights in a row he chooses to ignore his almost violent compulsions, but on the third night, he cannot control it anymore. His at first seemingly innocent ride leads him to a barn, and soon into a journey that it is almost impossible to comprehend literally! Armed with only his cell phone as a “compass” , his dream that shows him the correct path, the encouragement of his wife Karen, and other interesting “people” along the way, he must somehow find his way to the cathedral. But why? And why is it so important that he gets there? From page one, this book had me intrigued. Before that, though, I found myself putting off this book for many weeks. I surprised myself that I finished 388 pgs in only 4 days! Filled with freaky animals, humor, originality, and adventure, this book will surely grab you by the throat!! Expectations? In order to get more publishers to send you their books or invite you to read them, you must REVUEW REVIEW REVIEW. Post as many reviews as you can, and if you have a blog..even better!! Soooo..I totally recommend this site! Because even if you have to wait for a requested book, there are plenty of “read now” books available to chew up your time. With thus amazing site, I definetly will not have much problems completing my challenge. So why are you still reading this boring post? Go…NOW!!! P.S. Once again, thank you readrantreview!